Well, I’m back from Paris! I ended up not buying nearly as much as I thought I would, which is great :) I spent more money on food, and didn’t go shopping that much. Most of the time was spent walking around, talking and enjoying being on vacation. I would’ve liked fabric for the Lucille Dress though (since the patttern arrived while I was away) and the bustier. I’ll just have to find something here or when I go to NY in August. 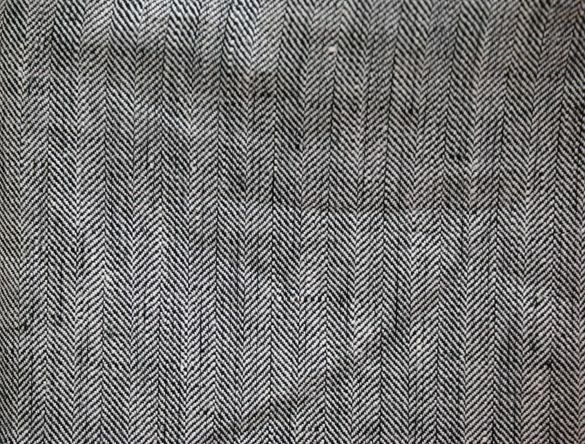 I found 3 fabrics: a tweed-like fabric (with the exact “design” I wanted! 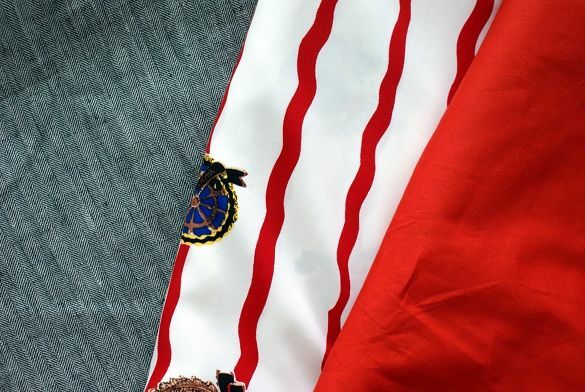 little V’s), a red cotton-lycra fabric with a bit of stretch, and nautical print viscose! 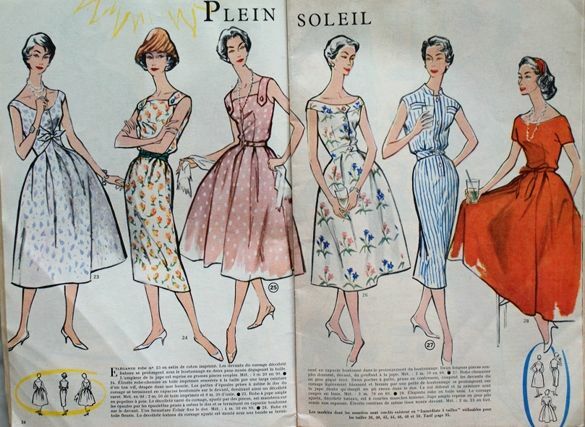 And they weren’t expensive either :) I got all three from the “coupons de saint-pierre” shop, where you get three metres for either 10, 20 or 30 € (there was a beautiful teal silk for 30 € but it wasn’t on my list and I wanted to avoid “impulse” buying). Mine were 10, 10 and 21 € (the tweed was on sale from 30). So I have 3 meters of each so hopefully I’ll be able to make more than one thing from each of the fabrics! I love the safety pins! And the nylon bias tape in the old plastic packaging. first I thought I wouldn’t use the bias tape, but I took it out to feel it, and it so soft, thin and delicate! I’m not really a fan of bias tape, but I really like the feel of these! 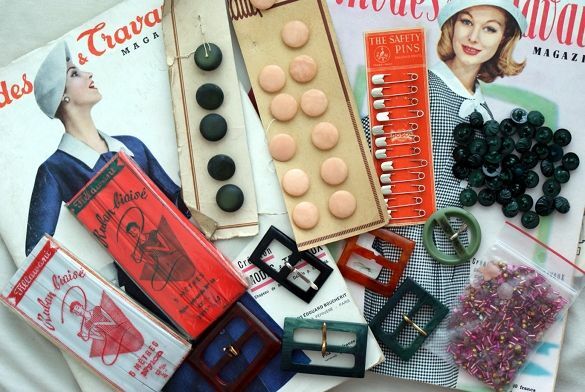 So much sewing inspiration in these old magazines! And I love looking at the old ads, it’s interesting to see how advertising changes and adjusts to whatever lifestyle people find desirable. I think advertising is a good “mirror” of society, it let’s you get into people’s minds. I think that’s why I like Mad Men so much, because the whole advertising industry is just a great perspective to look at a certain era (especially the 50ies and 60ies). 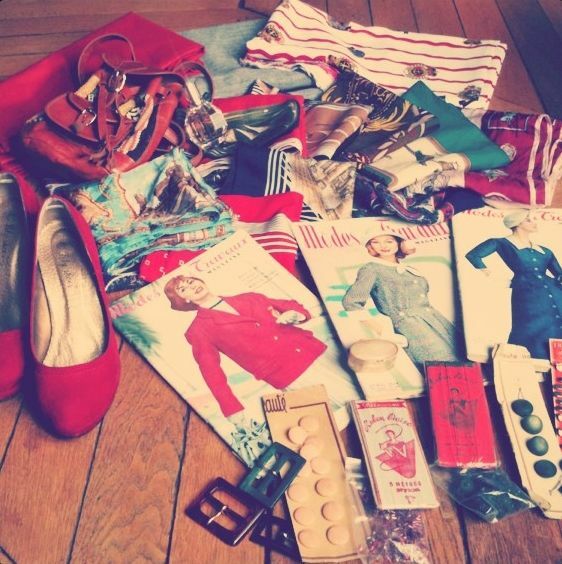 If you’re ever in Paris, go to this flea market! Take the metro (line 13) to “Porte de Vanves” and when you get out, it’s really close (Avenue Georges Lafenestre and Avenue Marc Sangnier). It’s small but I like it better than the famous Clignancourt one. That one’s so touristy and last time I went there, there was so much cheap crap. So since I didn’t find everything I need for the bustier I might put that project off for a while (after I get back from my trip to the states in august), and will instead be using the red fabric I bought, and a mint colored fabric from my stash to make two dresses. the most expensive thing was the “flowerbomb” perfume. I’ve been wanting it for a long time but it’s so insanely expensive in Switzerland… the rest is all cheap stuff from vintages stores (plus a pair of shoes that was on sale and is probably not great quality, but I like them a lot). 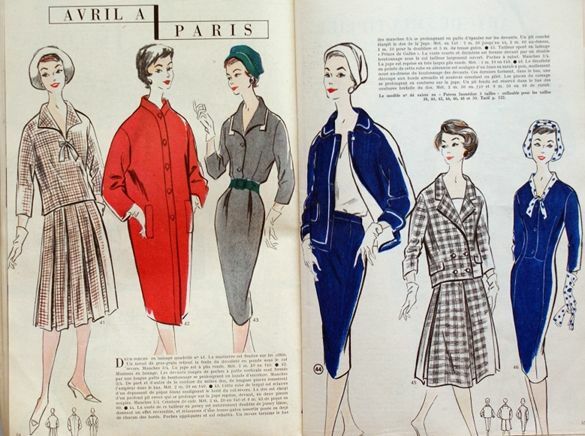 This entry was posted in Fabric & Notions, Inspiration, Personal and tagged cotton lycra, fabric, flea market, nautical print, paris, red, shopping, tweed, vintage magazines, vintage sewing notions, viscose by Nina. Bookmark the permalink. 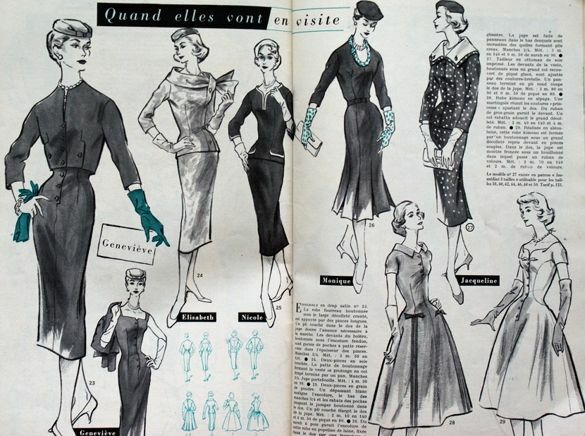 Ooh, your fabric is fab! 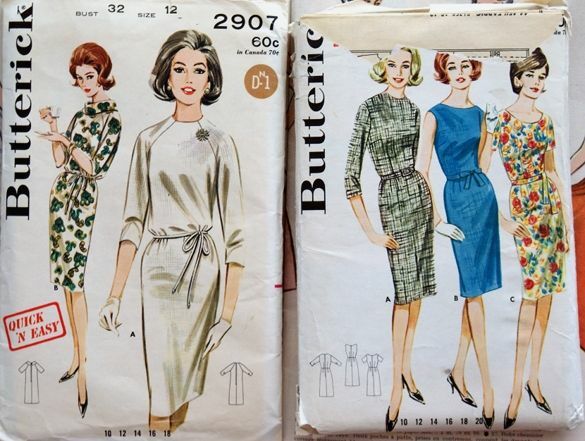 And I LOVE the Butterick 2907– those raglan sleeves are super chic! Yay for Paris! 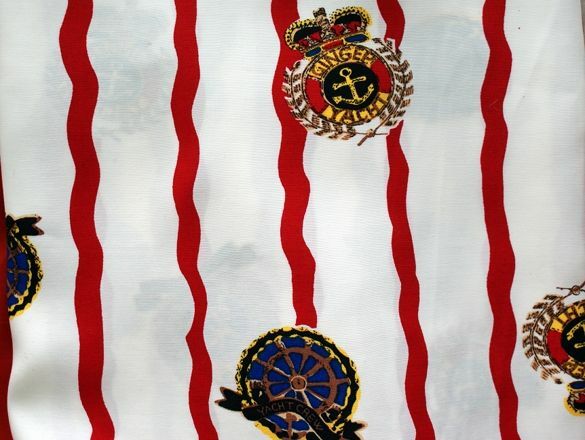 Can’t wait to see what you make with the nautical print!